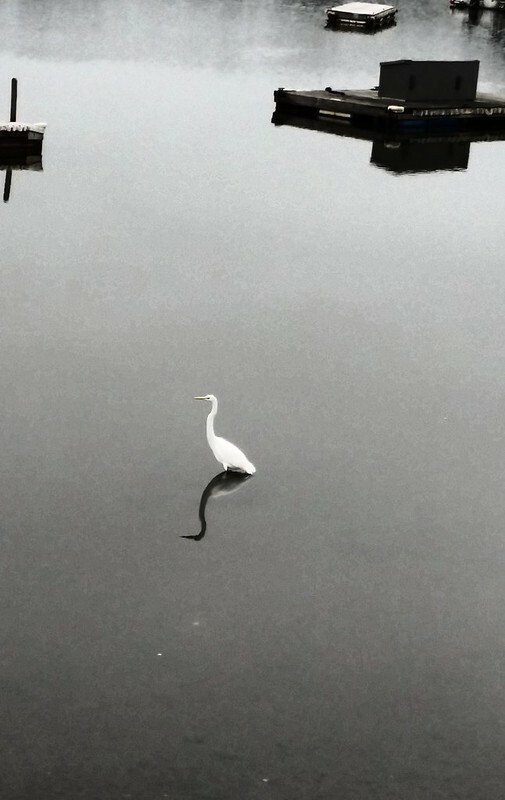 A bird standing in water. On a walk on a cloudy day, I came by this fellow who stood in the way just looking around. His back was to me but I wanted to take a photo of him, so I waited for a couple moments and he began to turn towards me. This photo words great because the lighting and calmed waters allowed me to capture both the bird and its reflection. I was just putting my phone away when the bird took flight and I was disappointed I missed that shot as this bird had a good wing-span and graceful departure from the water.